A hilarious, heartfelt sequel to How to Build a Girl, the breakout novel from feminist sensation Caitlin Moran who the New York Times called, rowdy and fearless . . . sloppy, big-hearted and alive in all the right ways. You can't have your best friend be famous if you're not famous. It doesn't work. You're emotional pen-friends. You can send each other letters--but you're not doing anything together. You live in different countries. Johanna Morrigan (AKA Dolly Wilde) has it all: at eighteen, she lives in her own flat in London and writes for the coolest music magazine in Britain. But Johanna is miserable. Her best friend and man of her dreams John Kite has just made it big in 1994's hot new BritPop scene. Suddenly John exists on another plane of reality: that of the Famouses. Never one to sit on the sidelines, Johanna hatches a plan: she will Saint Paul his Corinthians, she will Jimmy his Pinocchio--she will write a monthly column, by way of a manual to the famous, analyzing fame, its power, its dangers, and its amusing aspects. In stories, girls never win the girl--they are won. Well, Johanna will re-write the stories, and win John, through her writing. But as Johanna's own star rises, an unpleasant one-night stand she had with a stand-up comedian, Jerry Sharp, comes back to haunt in her in a series of unfortunate consequences. How can a girl deal with public sexual shaming? Especially when her new friend, the up-and-coming feminist rock icon Suzanne Banks, is Jimmy Cricketing her? 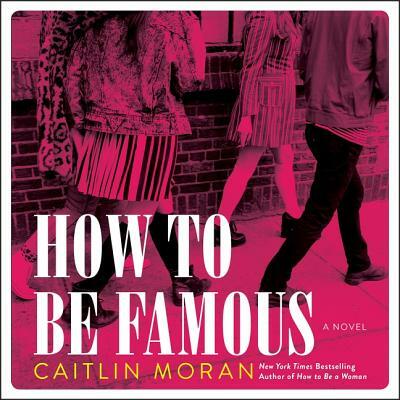 For anyone who has been a girl or known one, who has admired fame or judged it, and above all anyone who loves to laugh till their sides ache, How to Be Famous is a big-hearted, hilarious tale of fame and fortune-and all they entail.